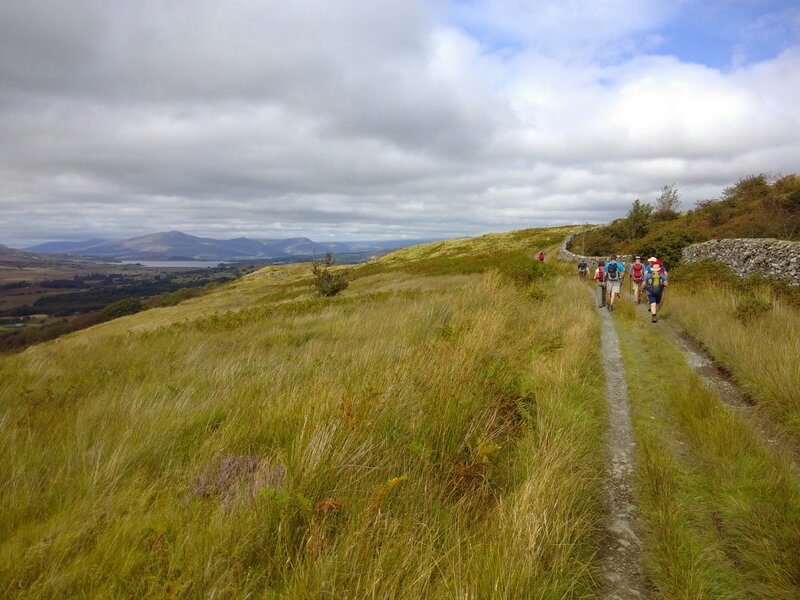 Here’s the first Snowdonia Way guided group heading towards Trawsfynydd on Stage 2 earlier this afternoon. What a day for it! We also heard about the poet Hedd Wyn and the history of the lake. Previous Previous post: The first ever guided group sets off!